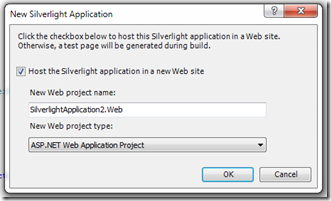 Welcome to the first part of the Silverlight 3 tutorial. I know SL4 Beta is out, but if you have your fundamentals right, versions are not a problem, just a little bit of study will keep you abreast of the latest version. Here are some prerequisites for this tutorials. 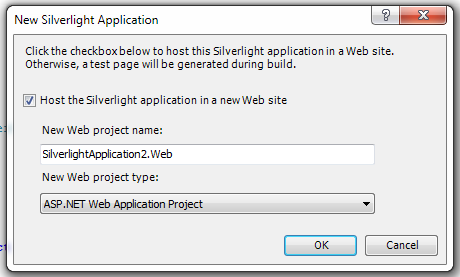 Remember, our ultimate aim here is to create a Twitter client from Silverlight. 4) Expression Blend 3 – I am not a designer myself, but still its a wonderful and worth exploring, I will throw a bit of light on this. 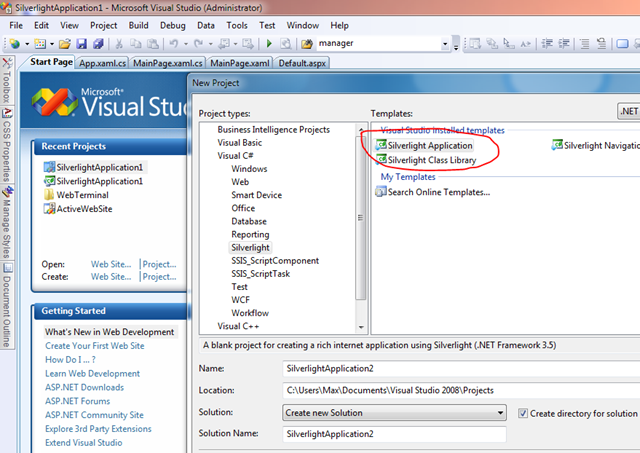 1) Familiarity with .Net Framework programming and C# – I’ll be using C# for this tutorials. Now lets us start jump right into the tutorial. 2) Now after you do this, it will ask you this, you can choose Website and Application, it really does not matter here. As this is more to do with deployment. 3) Now by default, it will create the MainPage.xaml.cs. 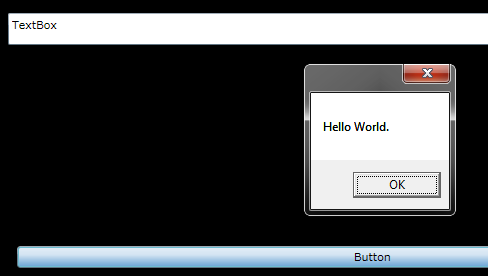 Just create a new button by typing <But and choose <Button from the intellisense, then add a content, which can be compared as “Text” to other WPF and ASP.NET textbox property. 4) Now add the click event handler, when you do this, VS2008 will automatically create the event handler for you. 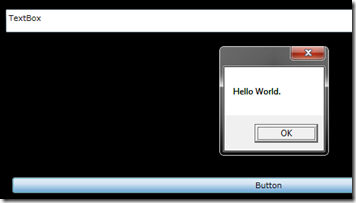 So just go to code behind view and in there, create a alert box using MessageBox.Show method. 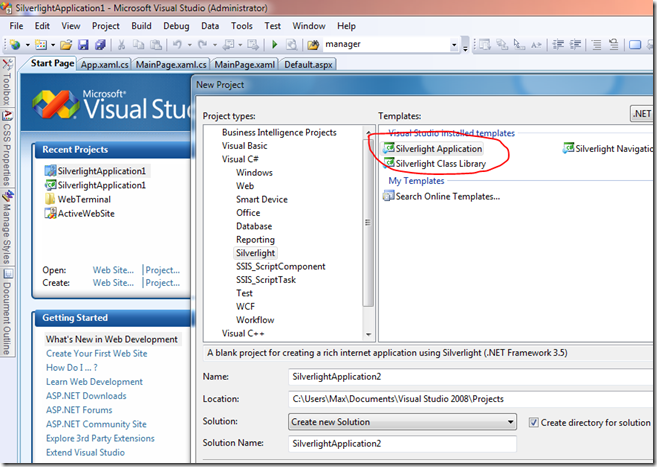 5) Voila, run it and you should be able to see the Silverlight in a browser. Click button and there you go! See you in the next tutorial! Comment below for any doubts or clarifications / issues.